You are currently browsing the tag archive for the ‘Arthur M. Anderson’ tag. Are you still making calendars? Here’s another set of 12 candidates, if my count is right. 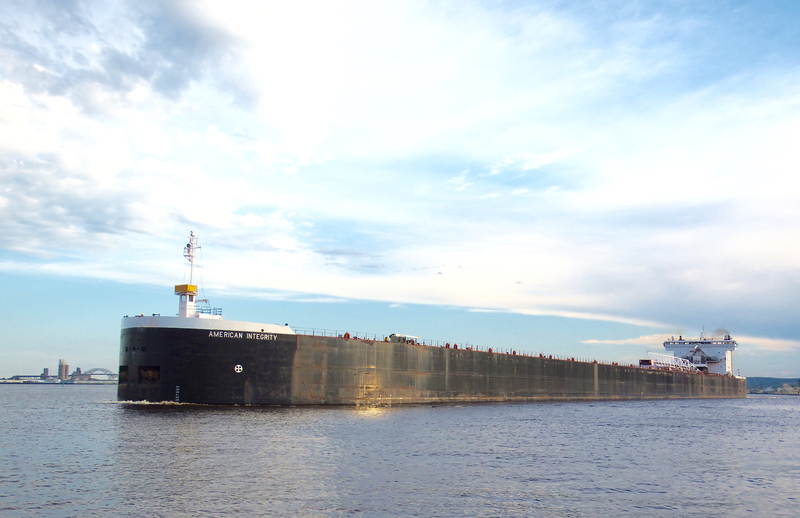 January could be American Integrity, a product of Sturgeon Bay, WI, 1000′ loa x 105′ and when loaded and photographed from this angle, she looks impossibly long. 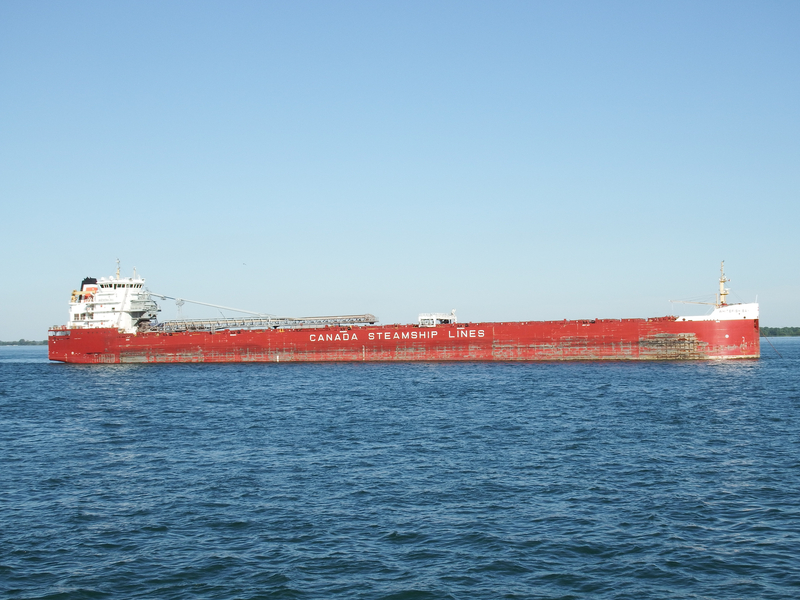 Her size keeps her confined to the four upper lakes, being way too large for the Welland Canal. 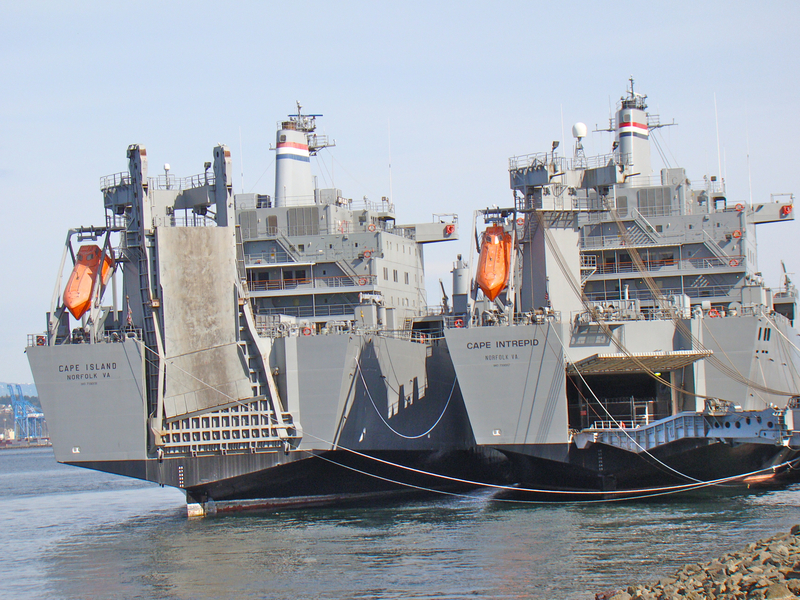 Since these are two of the same vessel, one could be the inset. 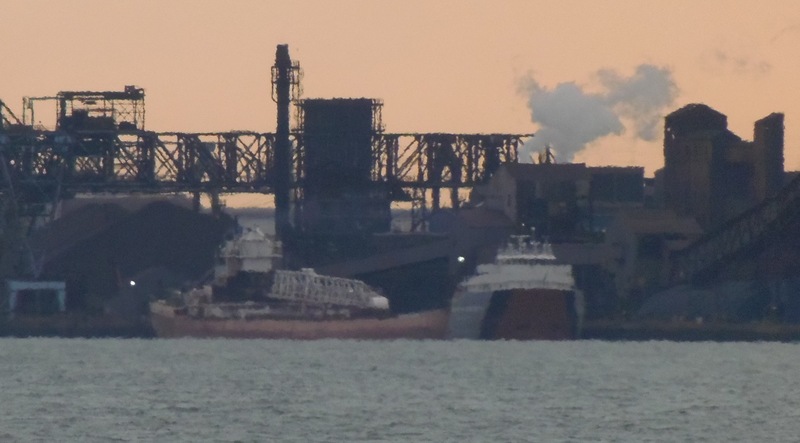 This shot of American Integrity discharging coal at a power plant in East China, MI, seems to shrink her. Radcliffe R. Lattimer has truly been around since her launch in mid-1978. 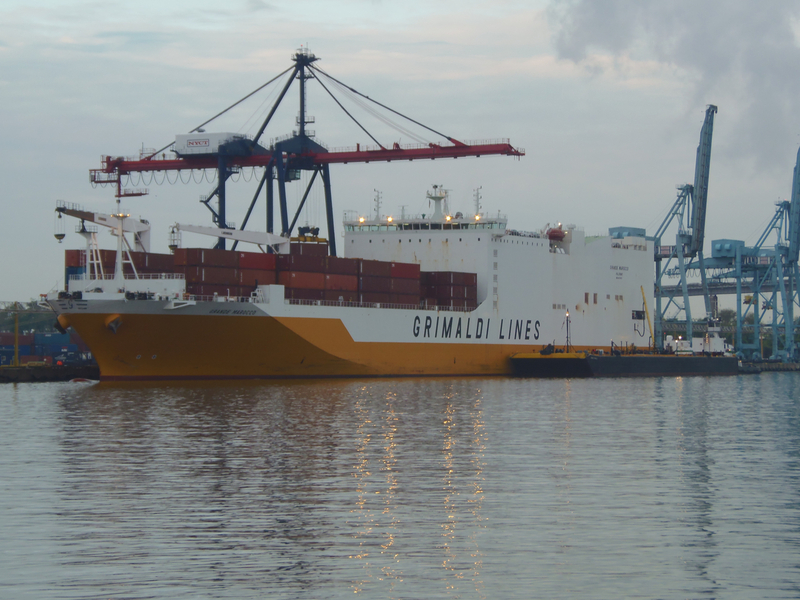 Besides the usual plethora of Great Lakes ports, she’s worked between Canada and the Caribbean, been taken on a five-month tow to China for a new forebody, and made trips on the lower Mississippi and Hudson. 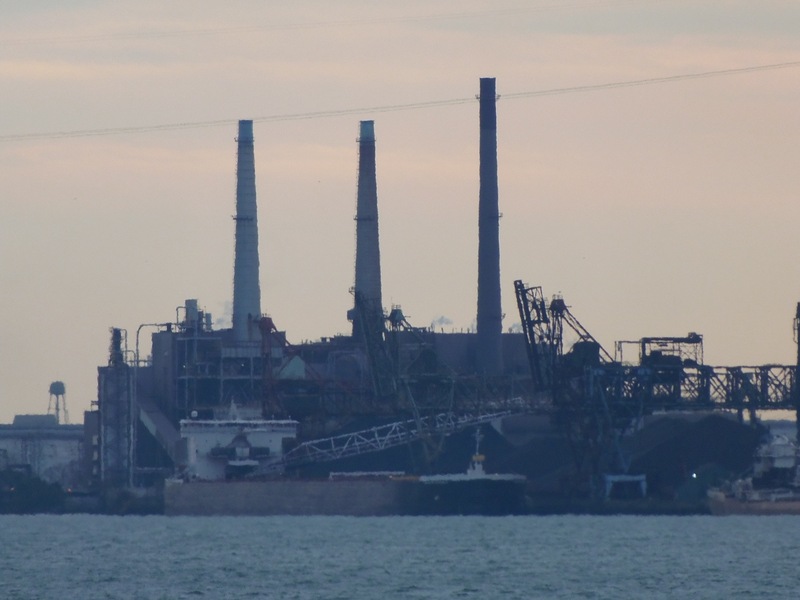 I took this photo just south of Port Huron. 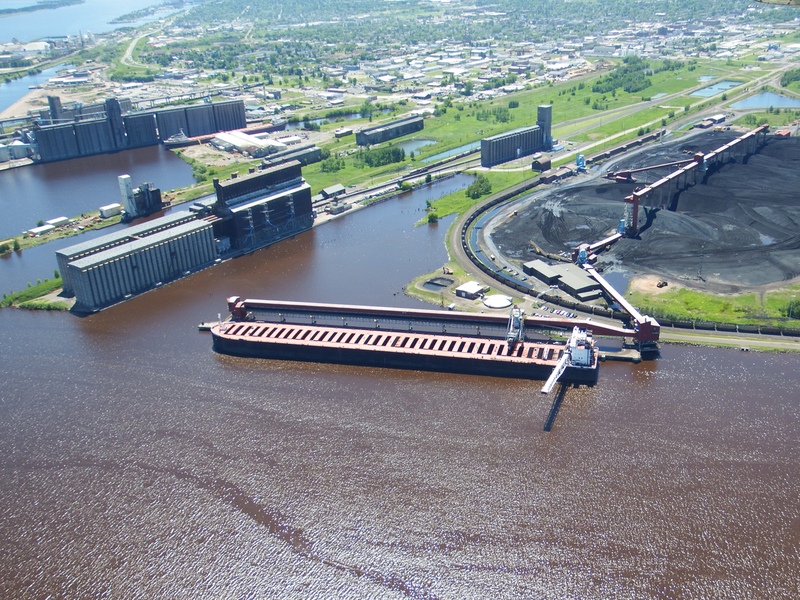 Here Arthur M. Anderson waits to load at the docks in Duluth. I’d love to hear an estimate of tons of bulk cargo she’s transported since her launch in 1952. 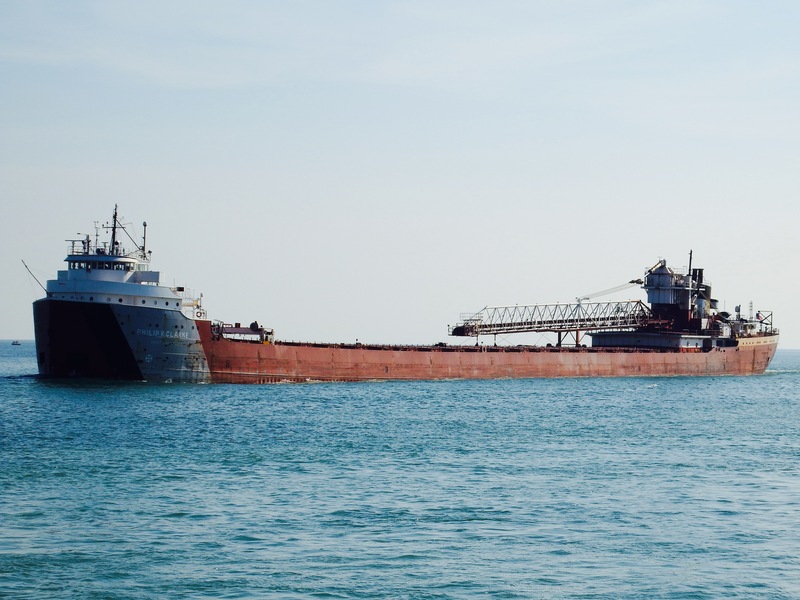 For many, Anderson will forever be remembered as the last vessel to be in contact with the Edmund Fitzgerald in November 1975. 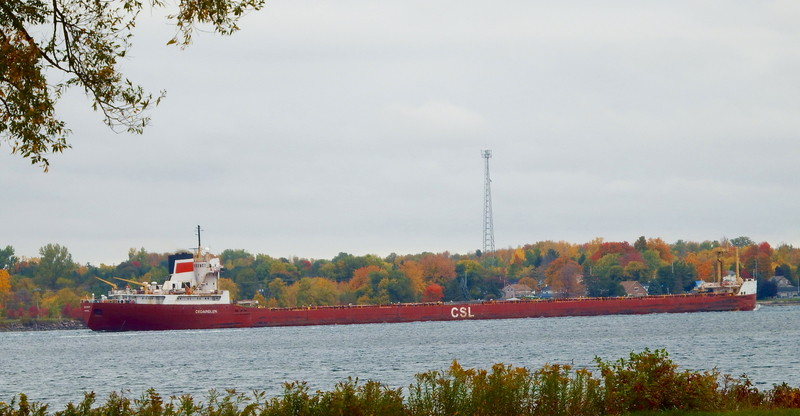 Here’s Whitefish Bay upstream from Montreal. 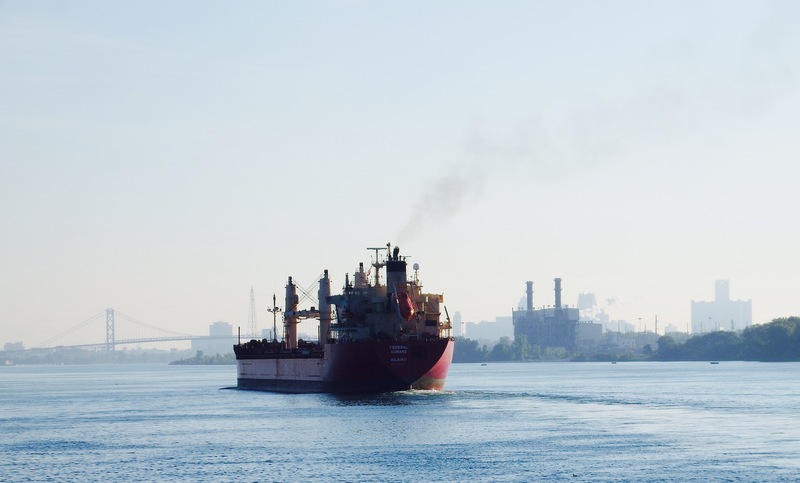 Click here to see her and fleet mate Baie Comeau christened side by side at the Chengxi Shipyard in Jianyin, China, in November 2012. 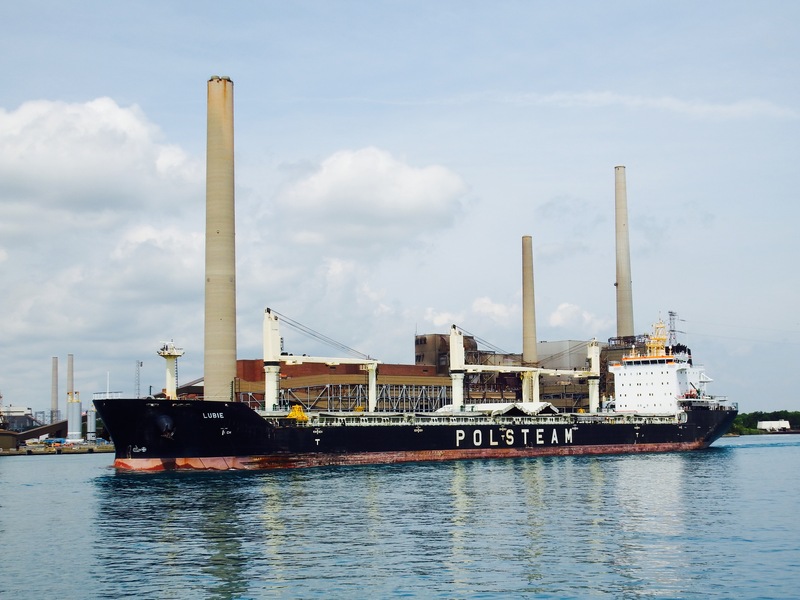 Cedarglen is another laker that has seen major design changes in its superstructure, having first launched in 1959 in Germany with the bridge midships. She has the same bridge. 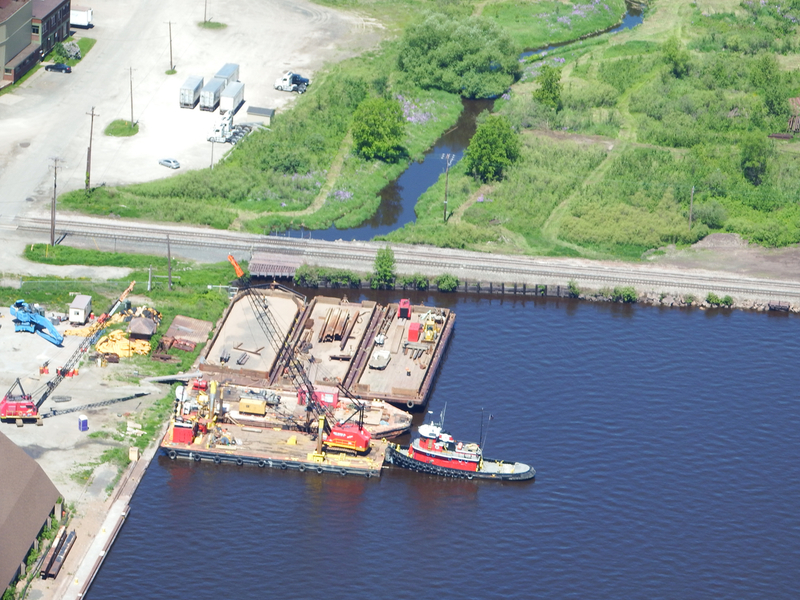 Down bound here near Ogdensburg NY, she’s worked on the Great Lakes since 1979. 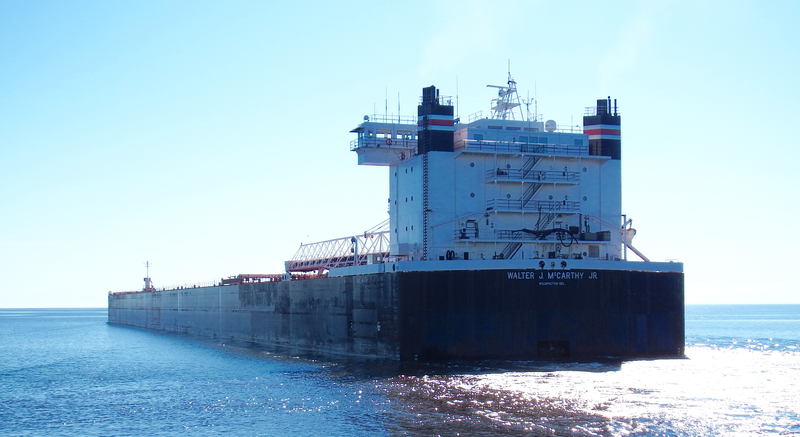 Walter J. McCarthy Jr., here down bound on Lake Superior, is another of the thirteen 1000′ boats working the upper four lakes. 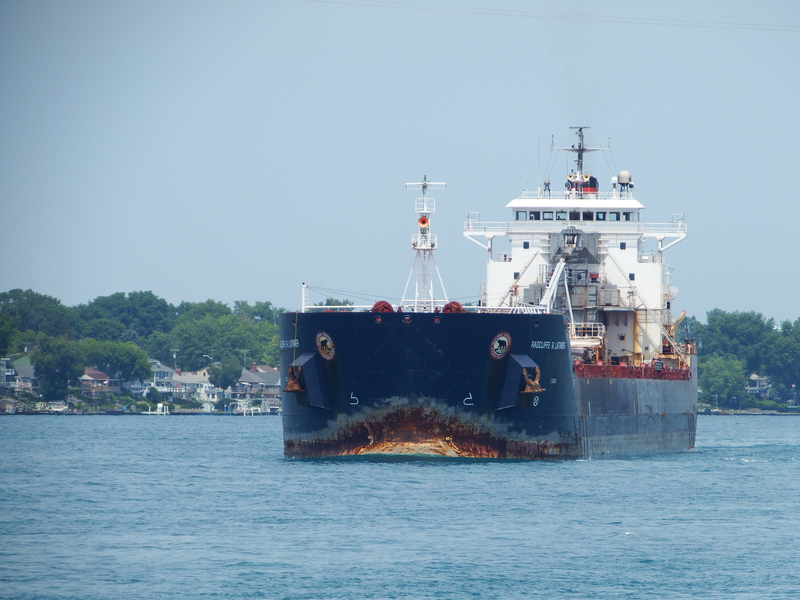 Kaye E. Barker has been working since 1952, here in Lake St. Clair down bound. That’s the tall parts of Detroit in the distance. 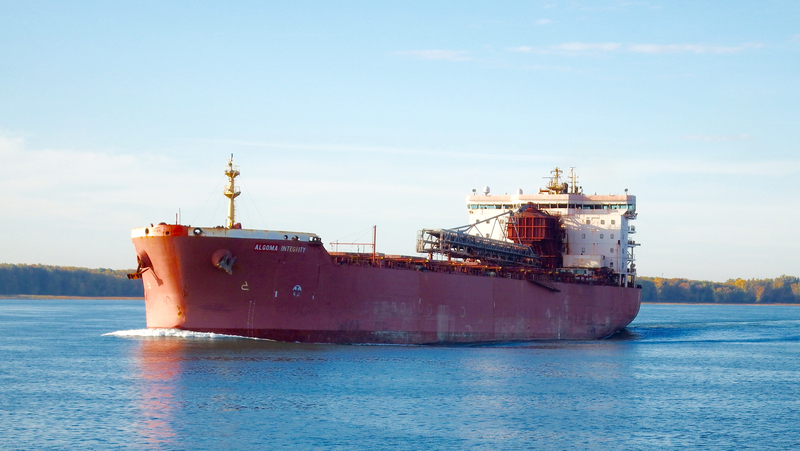 Algoma Integrity was launched in 2009 as Gypsum Integrity. 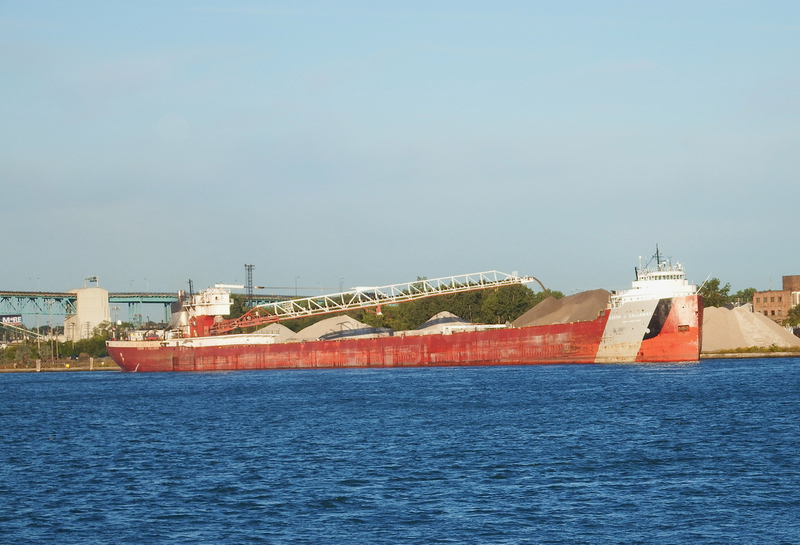 Cason J. Callaway is another 1952 ship, here discharging cargo in Detroit. Algoway was launched 1977. Will she be there for the 2018 season? So from this angle you might think this too will be a laker . . . ., right? She once was of the same class as Callaway and Anderson above, but .. . between end of the 2007 season and the beginning of the 2008, she was converted to a barge and married to the tug Victory. Victory was built in 1980. 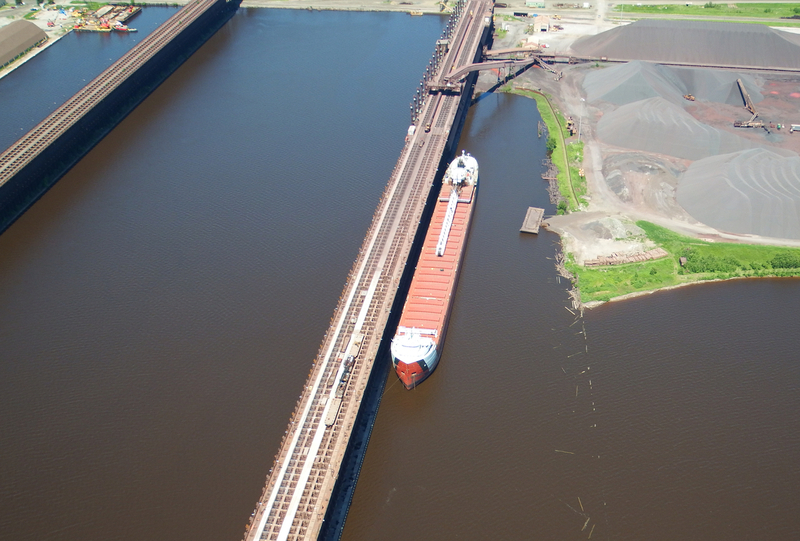 And to close out the mosaic that is the December page on our hypothetical Lake 2 calendar, it’s a close up of Victory at the elevator in Maumee OH. 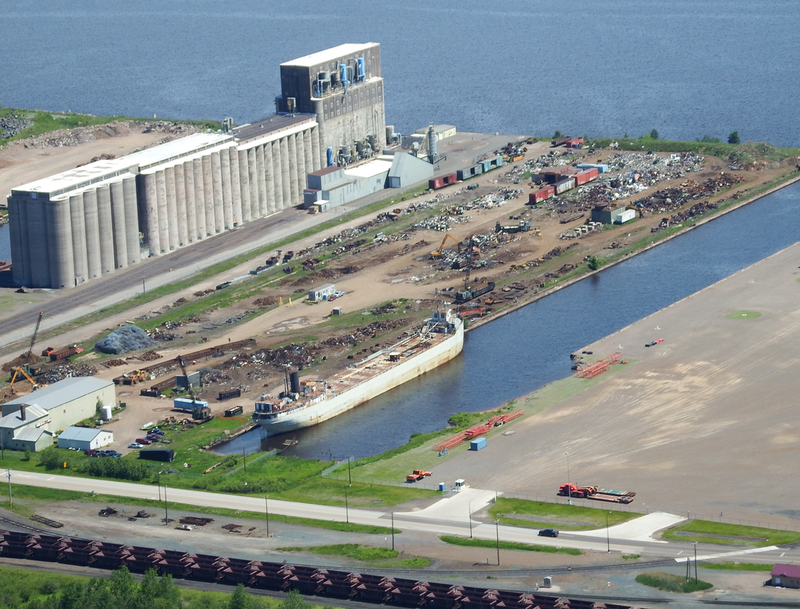 All photos by Will Van Dorp, who believes that the number of single hulled lakers will decrease as ATB design becomes predominant. 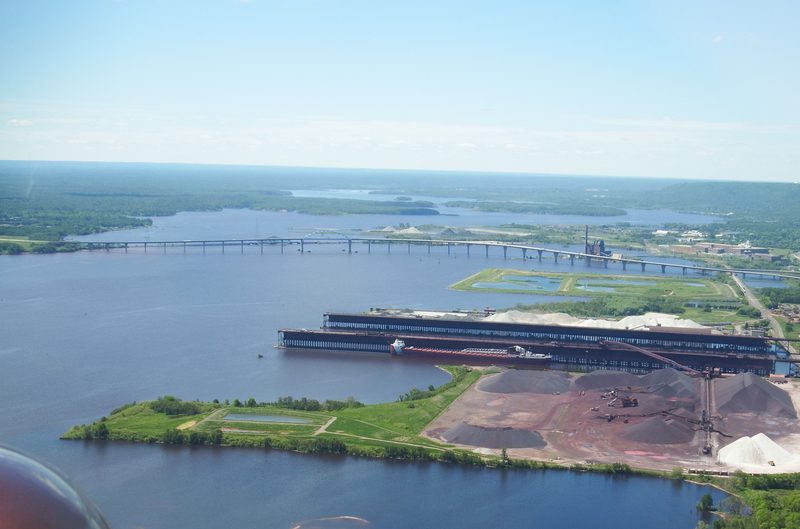 Yesterday’s post left you in the air–quite literally–circling above Duluth with Beaver Air Tours, the busiest port on the Great Lakes, and passing over a set of Heritage Marine tugs. Thanks to Lee Rust’s comment on yesterday’s post, I learned a fascinating story about one of the tugs, the 1908 Mount McKay. Check it out here. 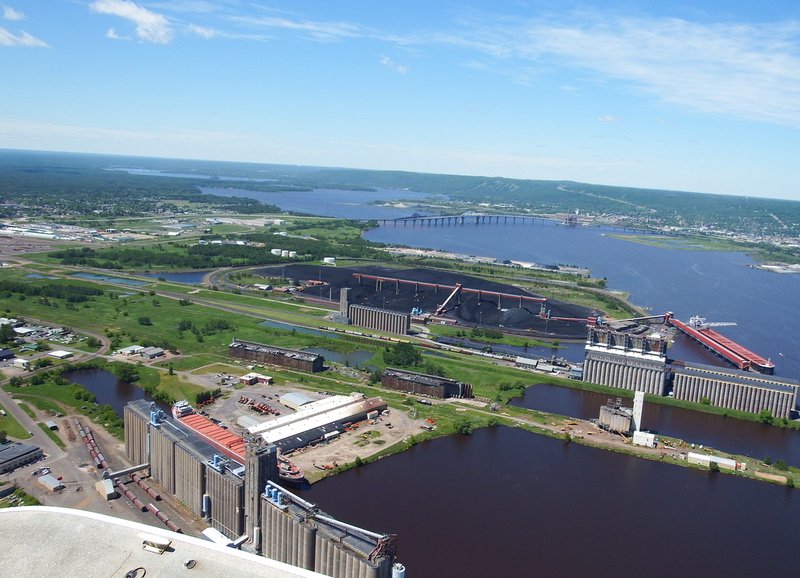 Here we’re flying west looking out toward the St. Louis River. The pilot pointed out the Edward L. Ryerson, below on extended layup. 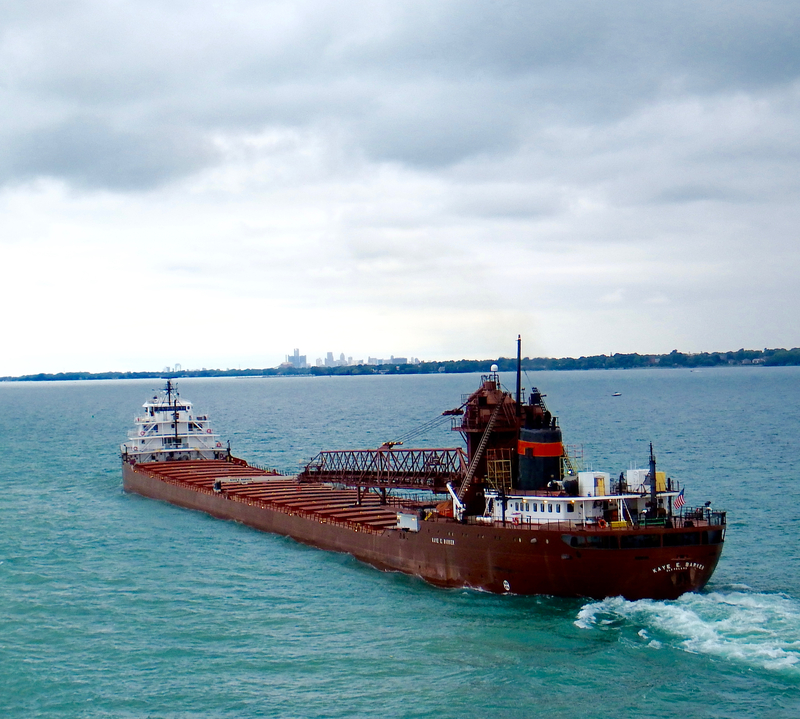 Click here for many more photos of this beauty, which began service in Manitowoc in the summer of 1960. for many more photos and more history of “fast Eddie–capable of 19 kts! !–click here. This blog has had a previous photo of Ryerson–assisted by Grouper– here. Note the unusual mast-stack combo and the absence of self-unloading gear. J. 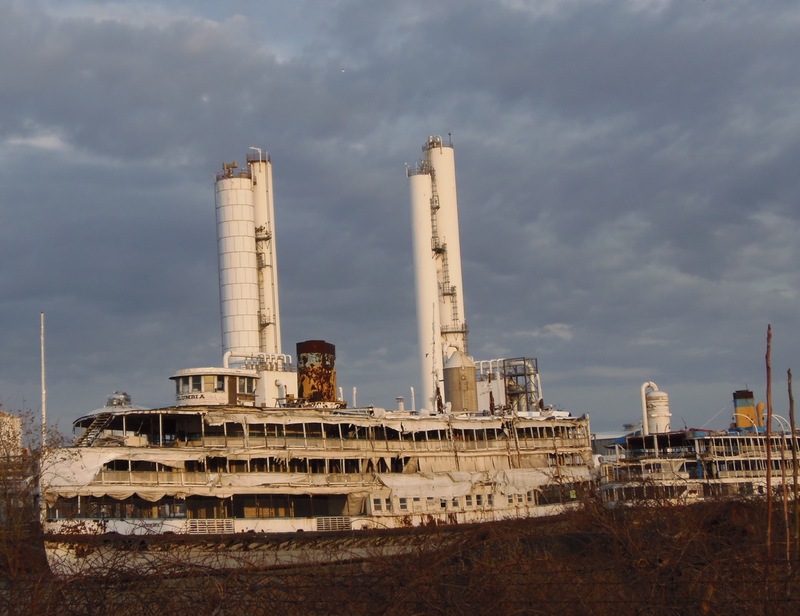 B. Ford–launched 1904–is now ending her days after serving them out here as a stationary storage facility. 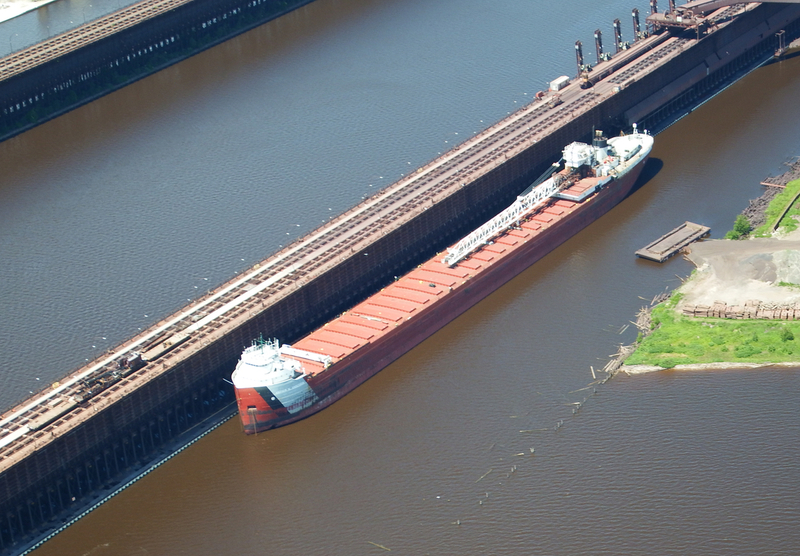 As this link tells, she survived many storms, outlived all her fleet mates. The stories of the generations of her crew . . . . I hope they’re not entirely lost. 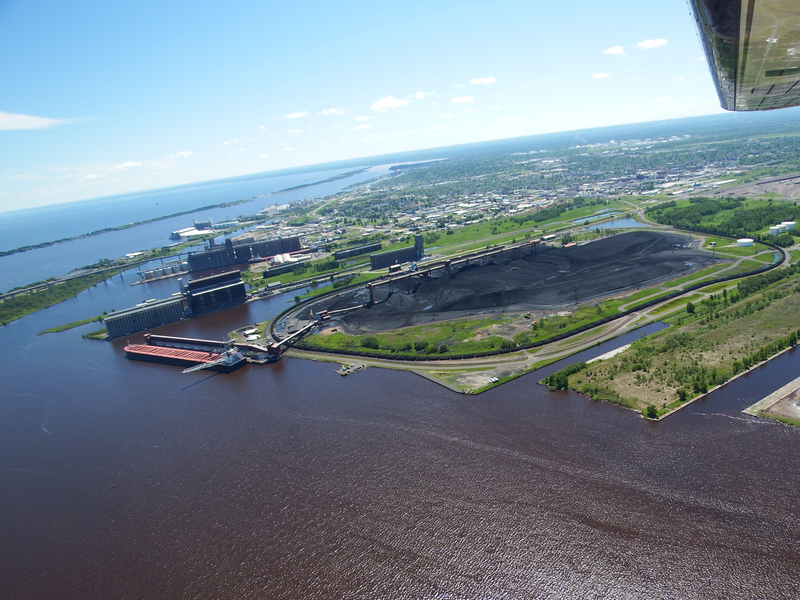 That’s the Duluth Ship Canal, which I’ll talk about in a future post, and the Aerial Lift Bridge; J. 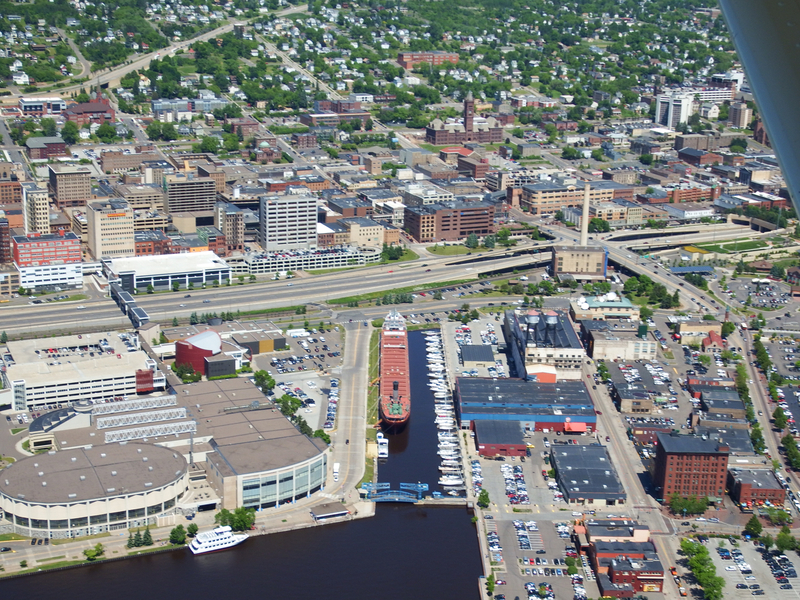 B. Ford’s scrapping is happening on the land upper right in this photo. 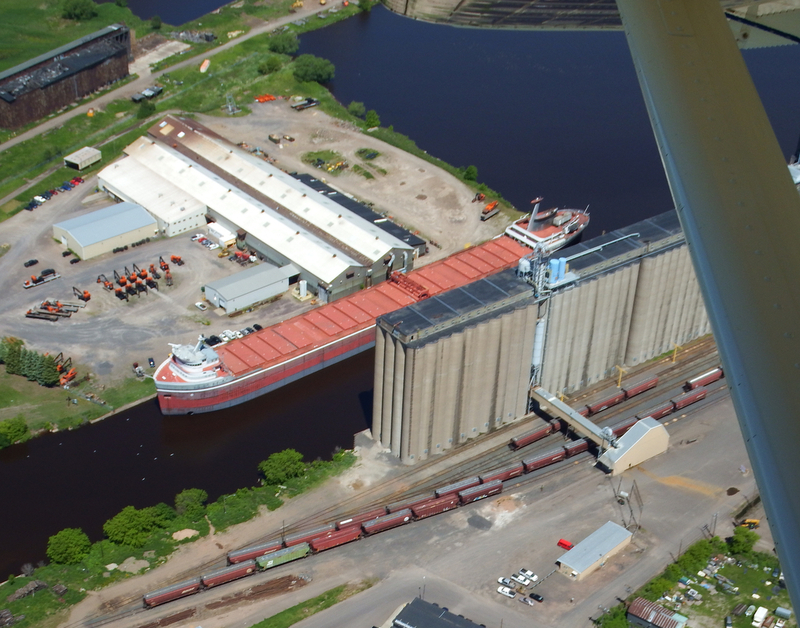 Circling over the Ship Canal, we look down at museum bulker William A. Irvin, named for a former president of US Steel. 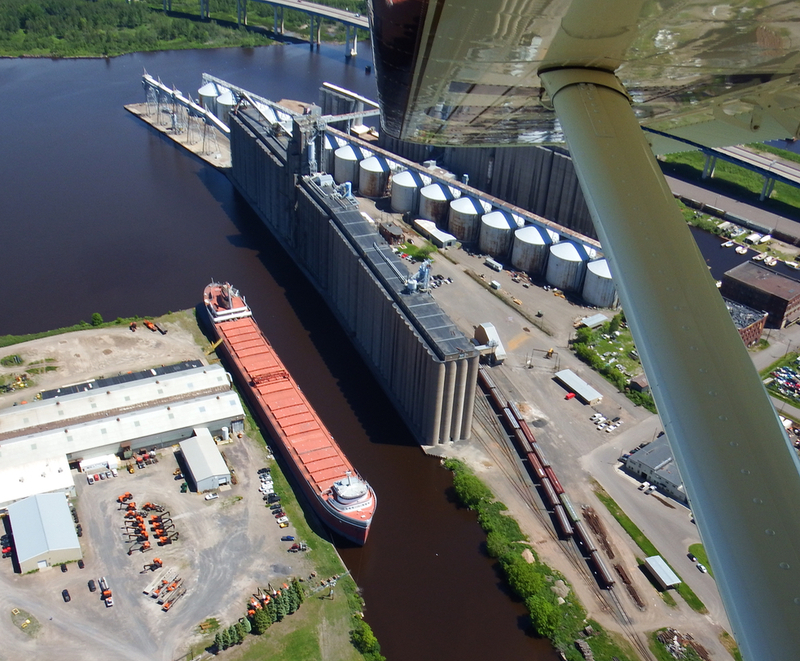 Who can tally how many tons of ore she carried in her lifetime from 1938 until 1978 . . . .
Let’s head toward the St. Louis River from a different angle and get a closer look at the Arthur M. Anderson. 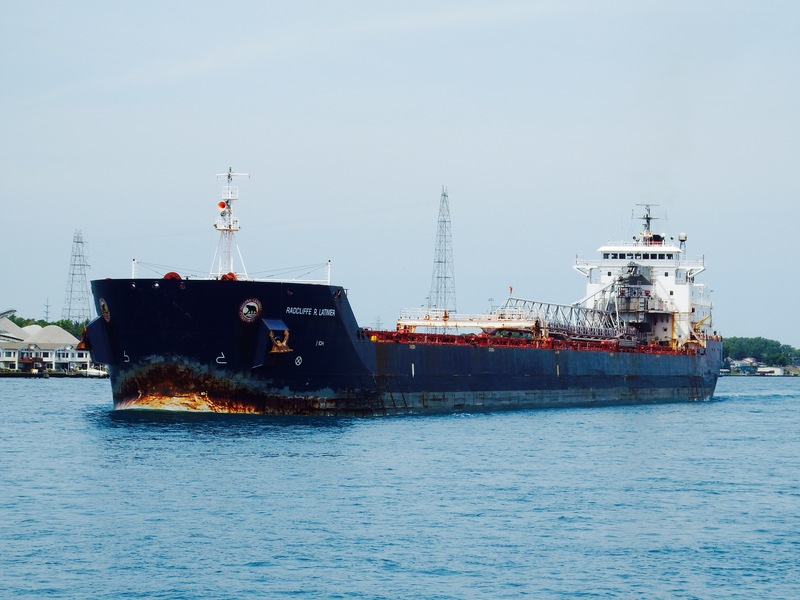 Click on this link for photos and info of the ordeal she and other lakers face in the December waning weeks of the navigation season. 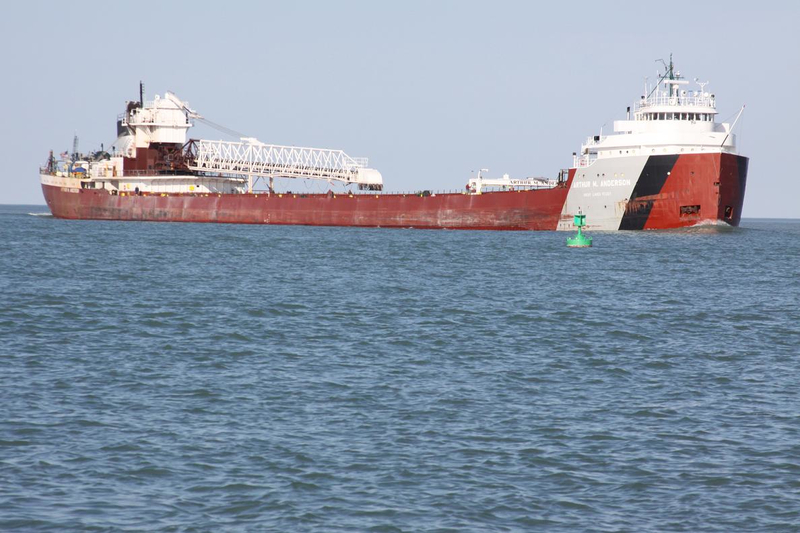 Anderson has plied the lakes since 1952, and is often associated with the Edmund Fitzgerald, as the last to have contact with the Fitzgerald in the fateful storm of November 1975. 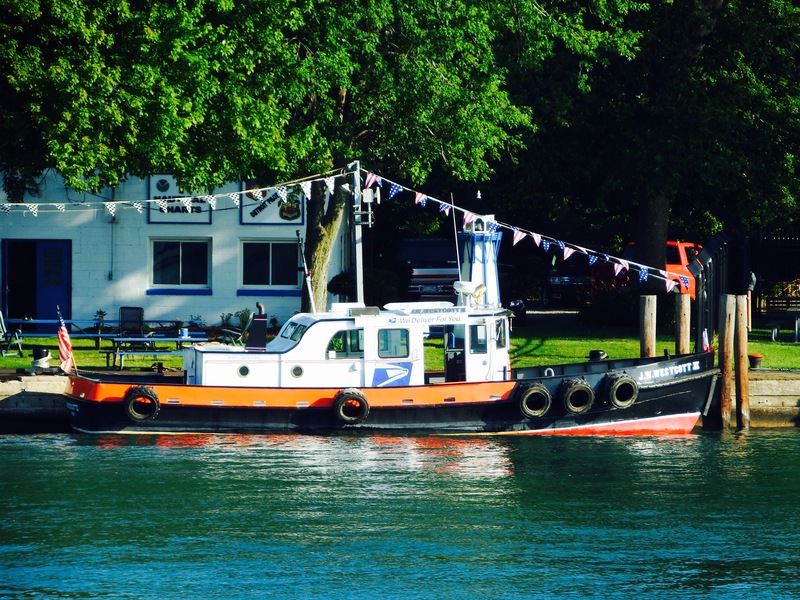 Can anyone identify this tugboat? 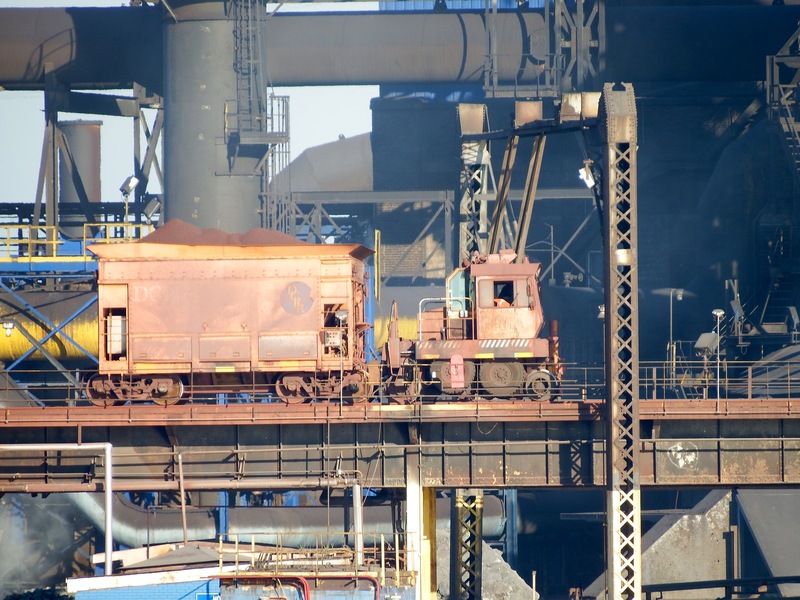 At the coal pile, it’s American Integrity . . . I’ll add some closeups of her in tomorrow’s post. 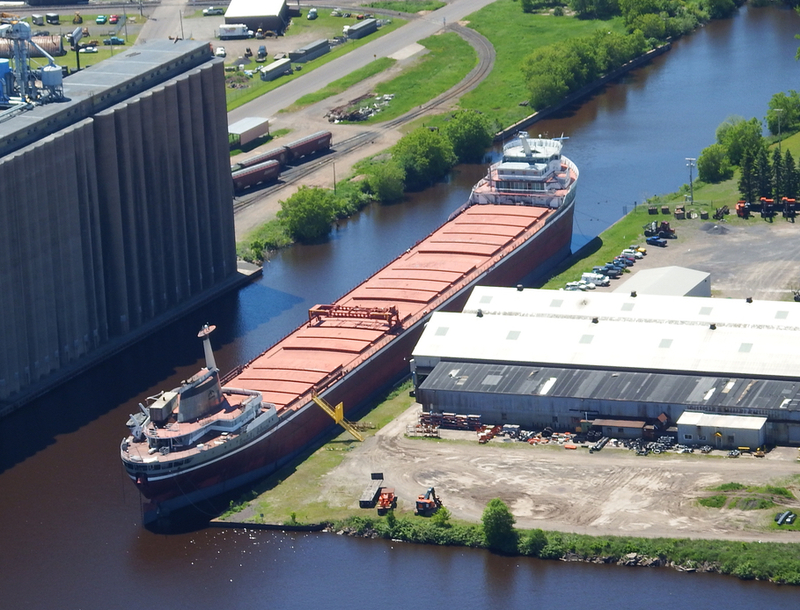 American Integrity is exactly 1000′ x 105′ and with a 78,850 ton capacity, a “super carrier” built in Sturgeon Bay WI and moving steel ingredients since 1978. Closing out today’s post . . . we pass part of the Fraser Shipyard, founded by Alexander McDougall, father of “whalebacks” and much more, two of which are currently in very different states of repair in New York waters, the Interwaterways 101 aka Day Peckinpaugh–AND Interwaterways 105, whose current disposition can be seen at the same link as for the 101 . . . the Michigan in the graveyard on the Arthur Kill. 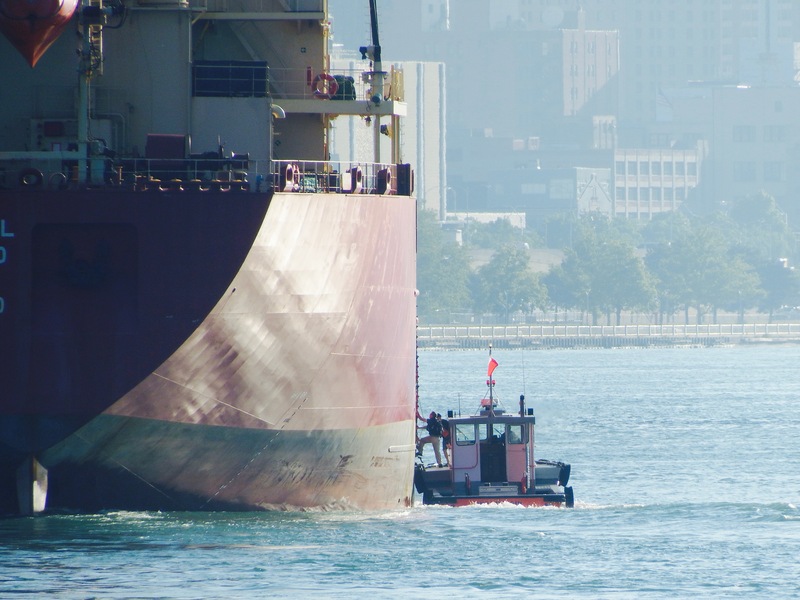 One of the tugs below is FSY III . . . I suppose the other two are I and II? All photos by Will Van Dorp, who hopes to return here near the end of the season. 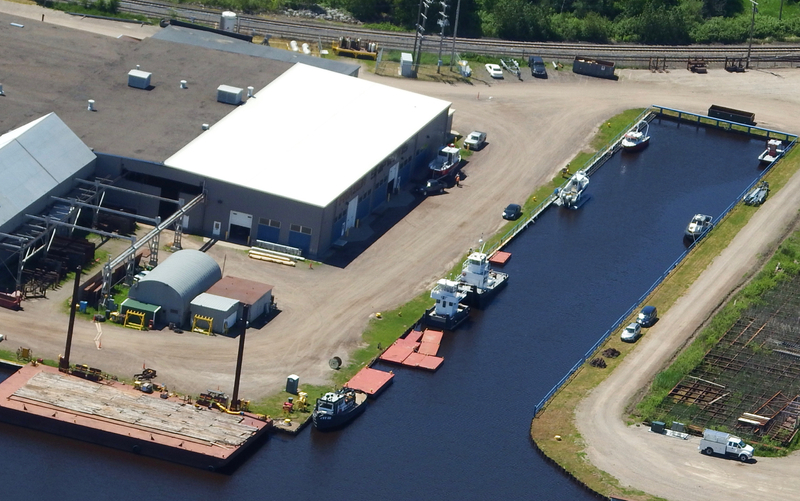 Here’s more on the port and the lake aka gichigami in Ojibwa. 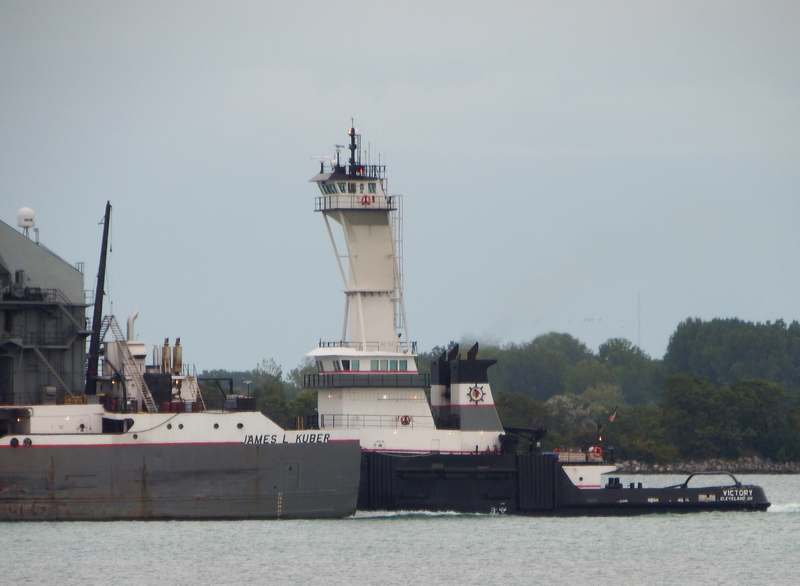 Near central Detroit a pilot boards Federal Kumano from Huron Maid. 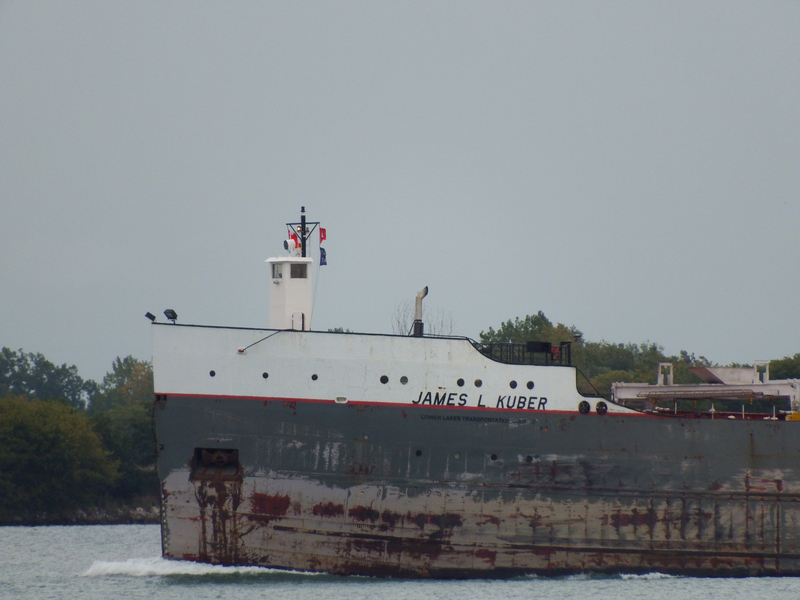 and as we headed unbound into Lake Huron, we passed Arthur M. Anderson . . . the last vessel in contact with the Fitzgerald before she was taken by Superior. 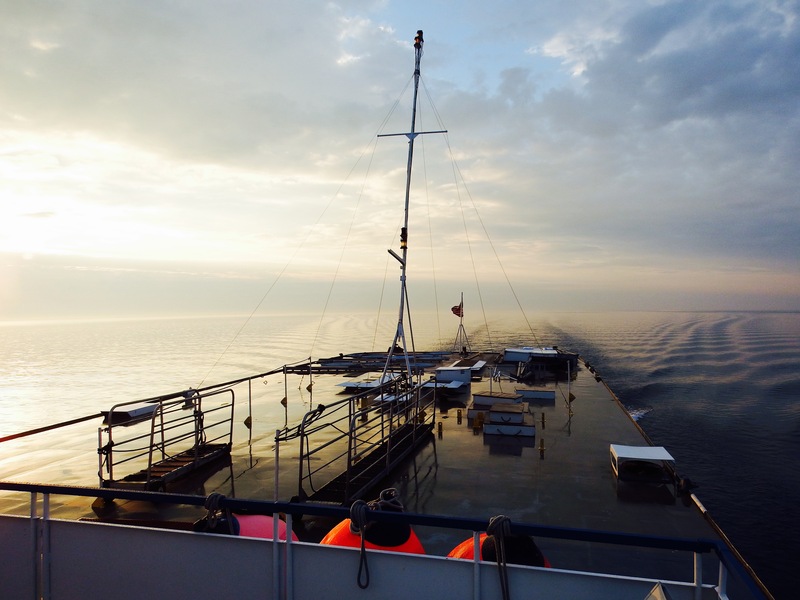 This was sunrise nearing the end of this leg, and in the night and distractions, I missed Alpena. 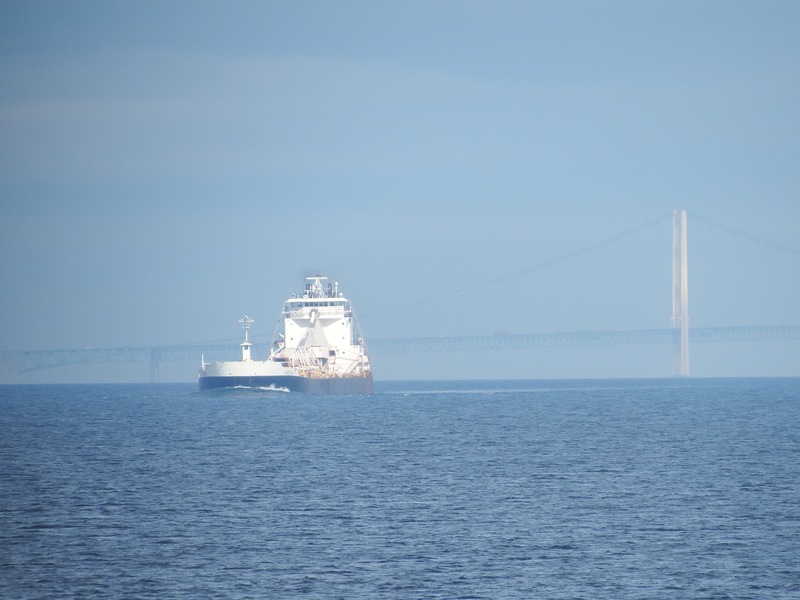 This post closes with Buffalo, as she leaves the Mackinac Bridge behind her. 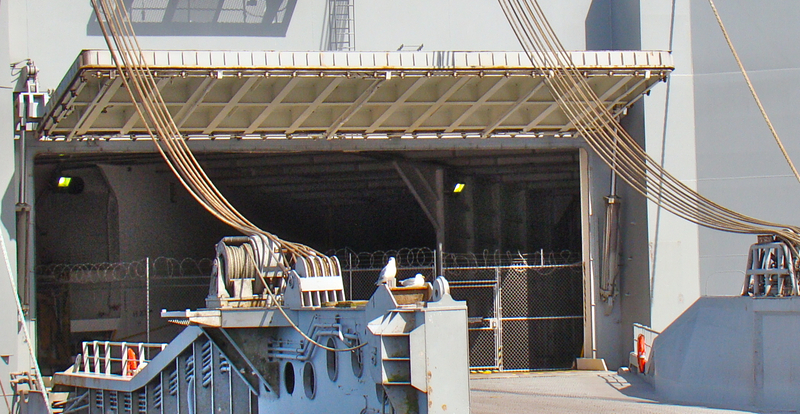 Chain link fence topped by accordion razor wire coils stand exposed only after a solid steel door is raised and an even heavier drawbridge lowered . . . what is this? And what lurks toothily below in the moat that’s most certainly there? Salish Sea water, of course. 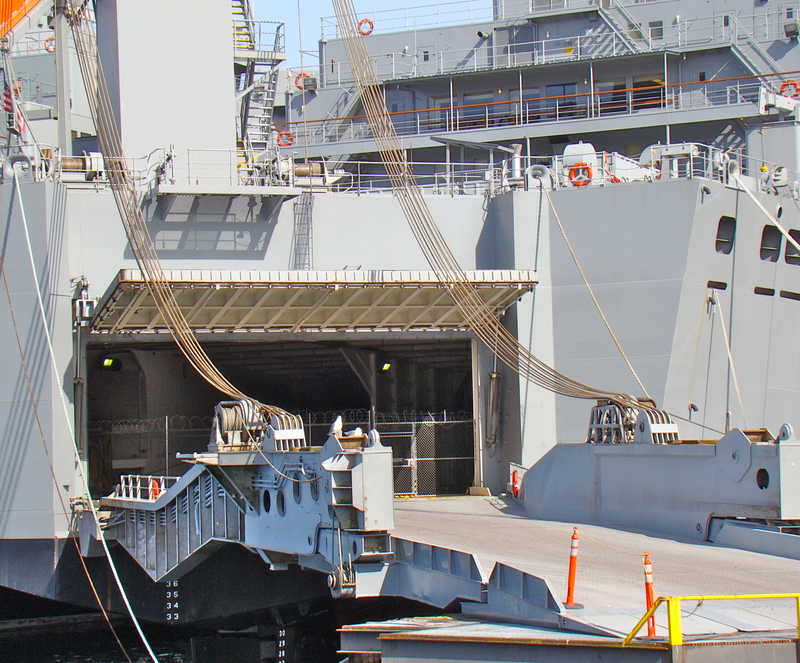 Many thanks to John Van Staalduinen who snapped these fotos at the port in Tacoma. 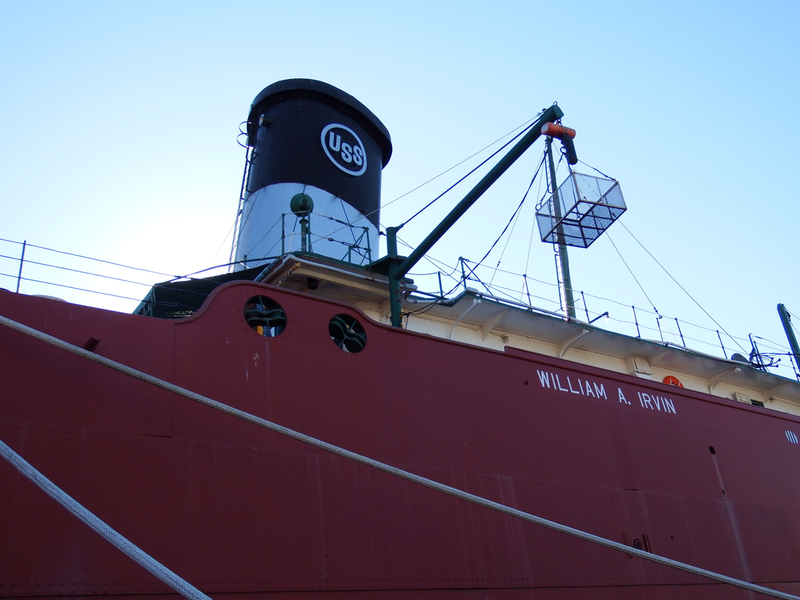 Both vessels were launched in Bath, ME in 1976. Unrelated . 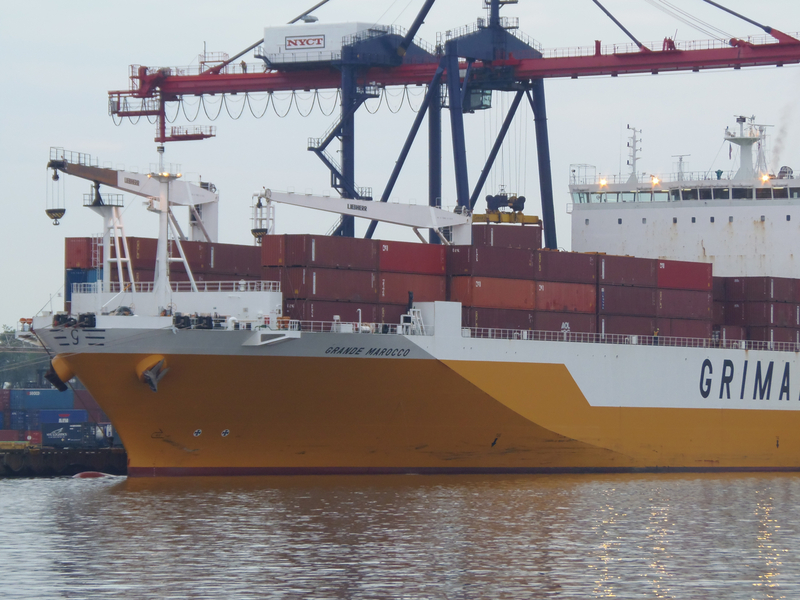 . . Grande Marocco left not quite a week ago for . . . Dakar. With all those cars up on the top splash deck (monkey deck?? ), I’m left wondering . . among other things . .
about a North American portion to a Dakar Rally. I know some people who would welcome the addition of a North American component to that race. 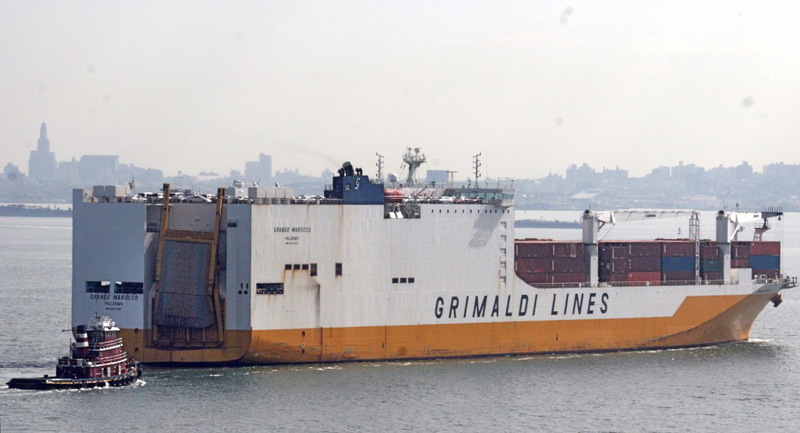 I’m wondering what Grimaldi ships to places like Cotonou and Banjul in West Africa. Graphics on ships . . . if Charles Fazzino has been designated official artist of OpSail NY 2012, I wonder if we can expect designs like these on tall ships in less than a month . .. How did he get chosen? By whom? To what end? Who else was considered? And one more from the north coast by Michigan Exposures . . . who might be planning a foray into the sixth boro . . . it’s Arthur M. Anderson. 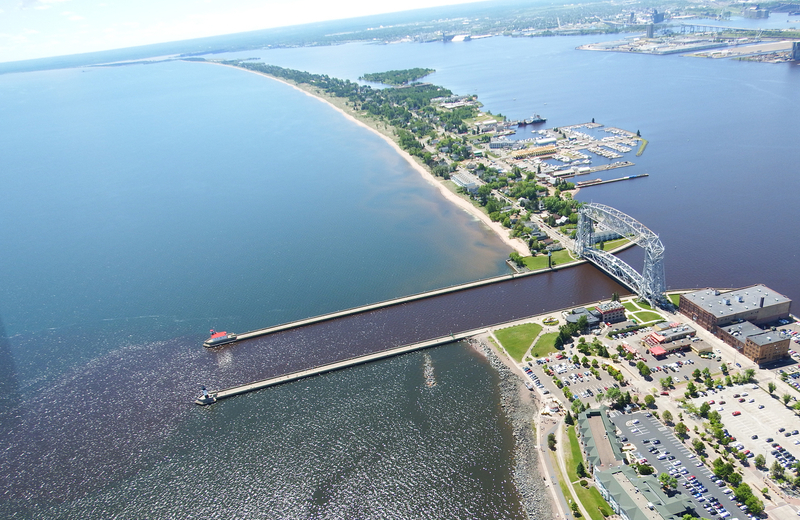 If Titanic had its Carpathia, then Edmund Fitzgerald had its Arthur . . . unfortunately too late. 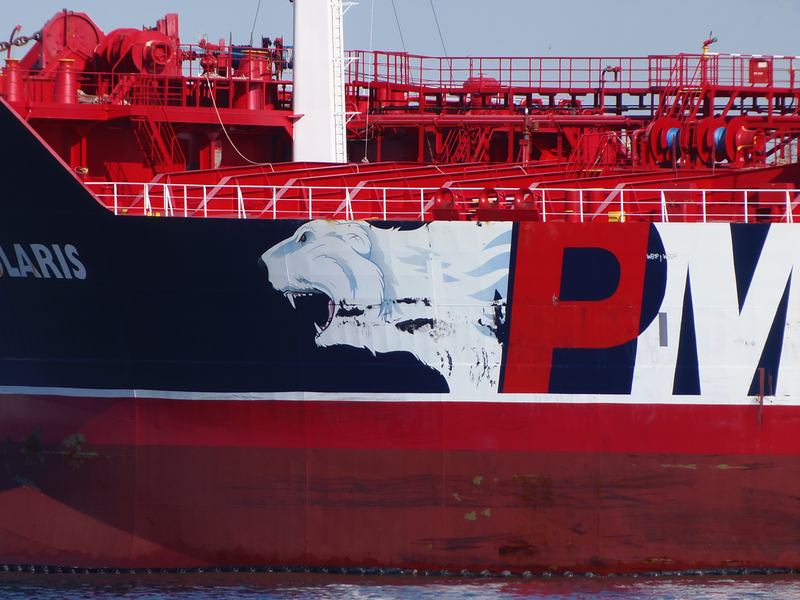 I love the mild-dazzle paint on these vessels. 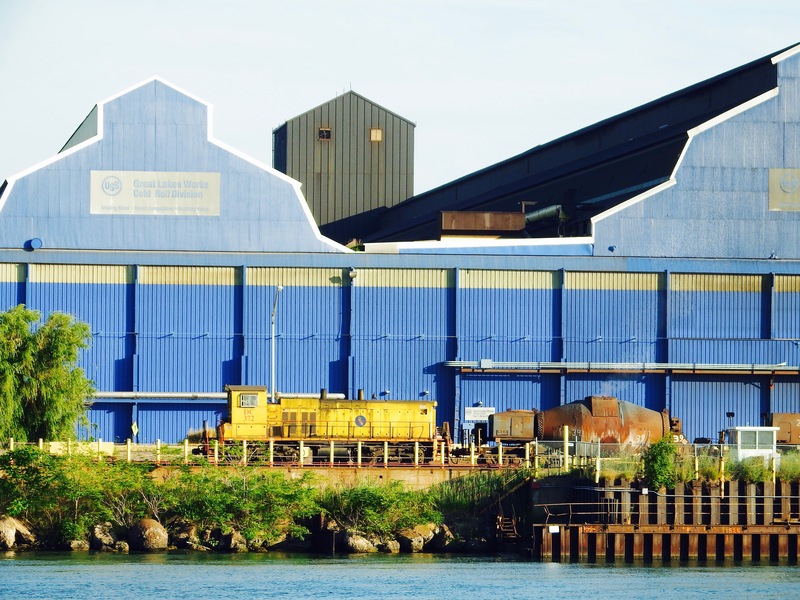 Arthur is a product of the American Ship Building Company yard in Lorain, OH . . . another manufacturing center transformed into . . housing. If you don’t know the Lightfoot Fitzgerald song, here’s the link. Otherwise, check out this supremely moody foto of a laker. Thanks to John, John, and Ken for these fotos. There are even two here by me. 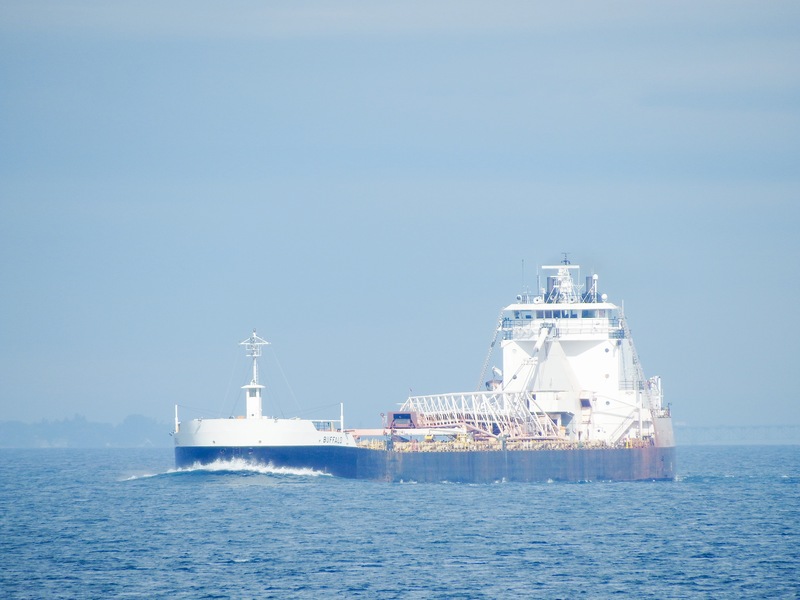 Harold Tartell and Jan van der Doe were 100% correct in their identification of the white-striped red self-unloading vessel in Road Fotos 11. 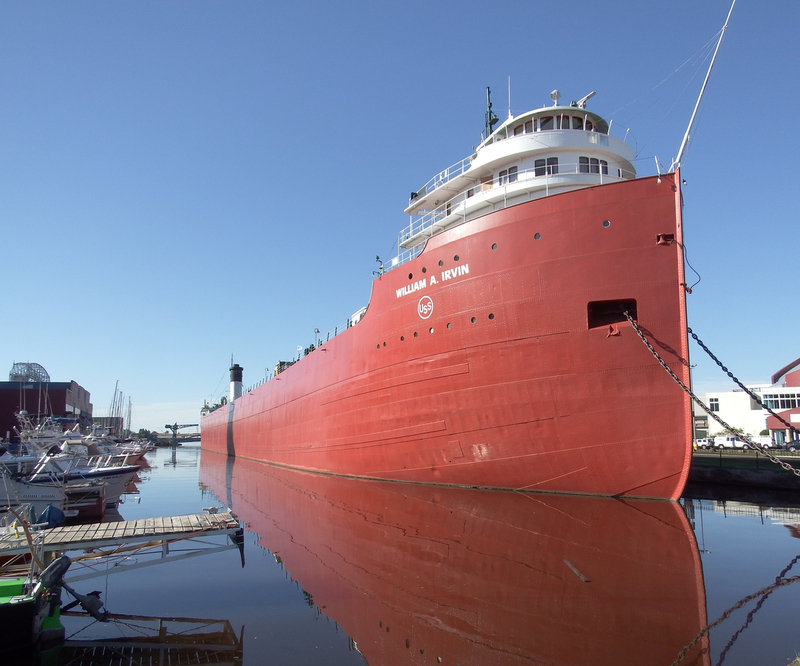 It is the Arthur M. Anderson. I didn’t get to see it close up, but through the magic of YouTube, it’s rubbing-or-scrapping distance here. At about a minute into the video, you learn how the can be that close. One of the joys of gallivanting is meeting new folks; this was especially true here. 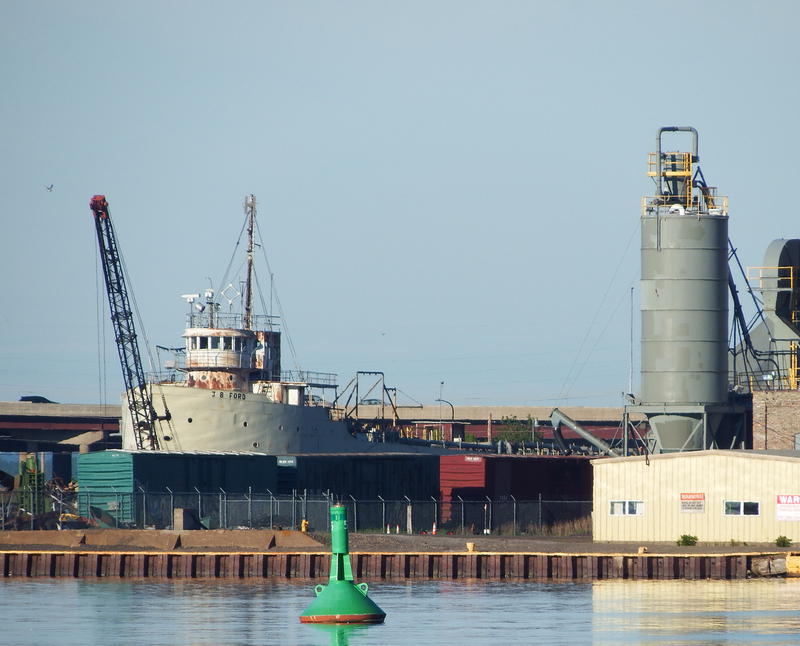 One person on this waterfront had a focus I recognized; he carried a zoom camera and looked at the same things I did. Seeing me take a foto of Arthur M. Anderson, he said its name (which I’d not been thinking of). Then he added, “And farther down there, it’s American Integrity.” Check out Ken’s blog here. 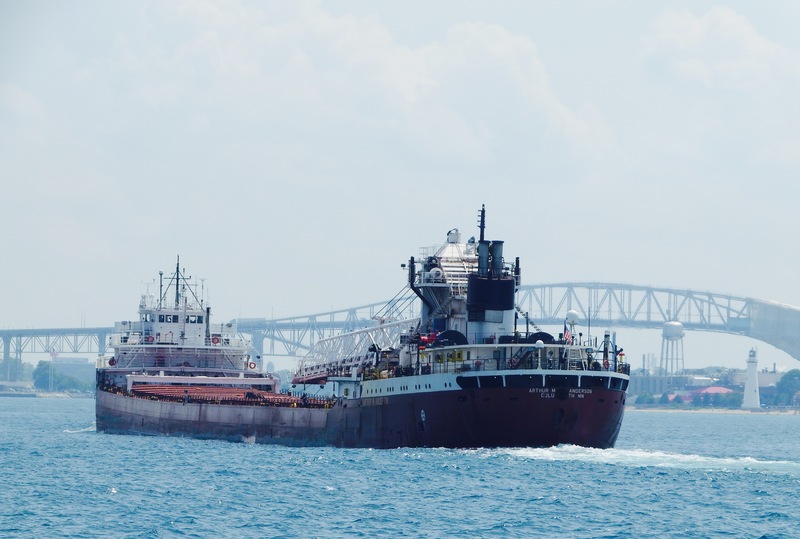 Here are some highlights of Ken’s blog: American Century, the Westcott delivering mail to a passing vessel, Stephen B. Roman, a 1000-footer dwarfed by “big mac“, and check this one . 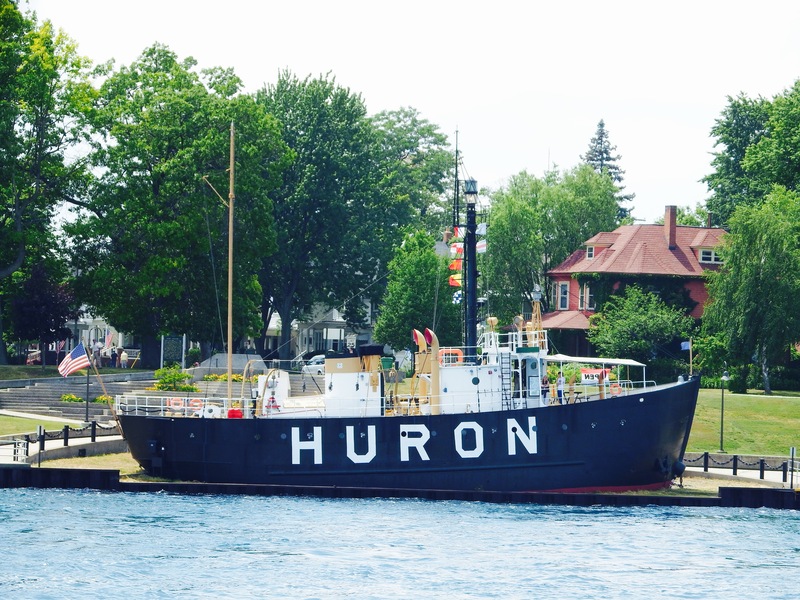 . . the Huron Lightship . . . which I spotted from the Blue Water Bridge but couldn’t quite figure out. When I have more time, I plan to digest Ken’s archives, now added to my blog roll. Here are my shots of Westcott and Hogan. I’d love this job although it has risk. 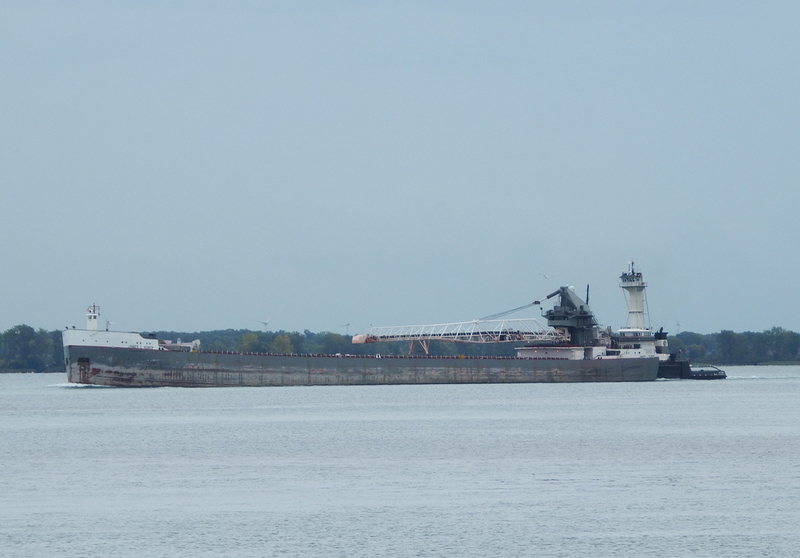 My zoom camera quit as this vessel approached, frustrating because I’d recognized the Algoma bear logo. 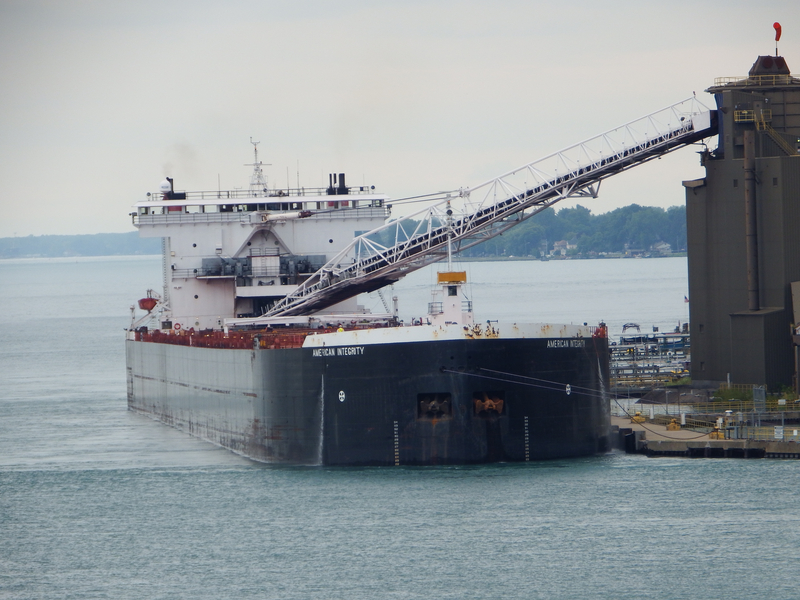 And I’d assumed it was a bulk carrier too, as I thought that was Algoma’s only business, but Algosar is a tanker. See her history here. 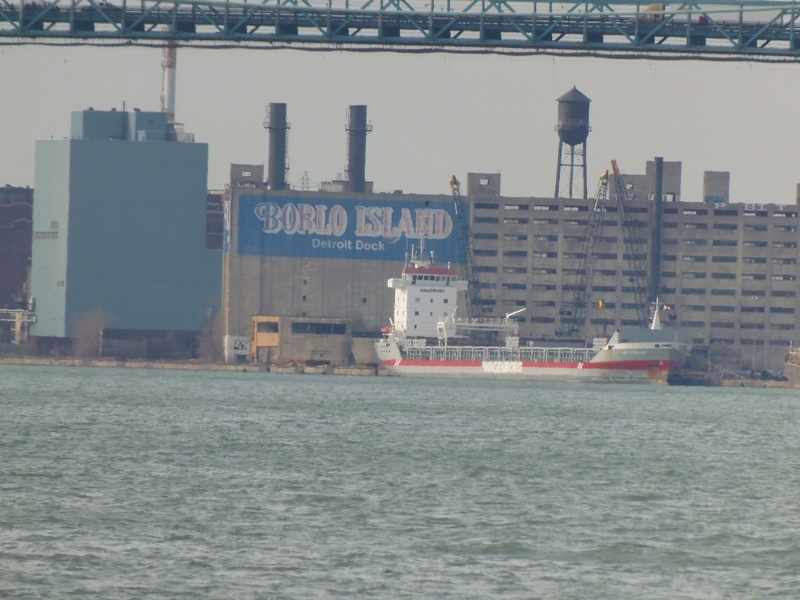 Just south of the Ambassador Bridge, Dutch-flagged Moezelborg transfers cargo near the now-abandoned Boblo Island Detroit dock building. Boblo lives on but only in the way that this whole list of defunct amusement parks does. 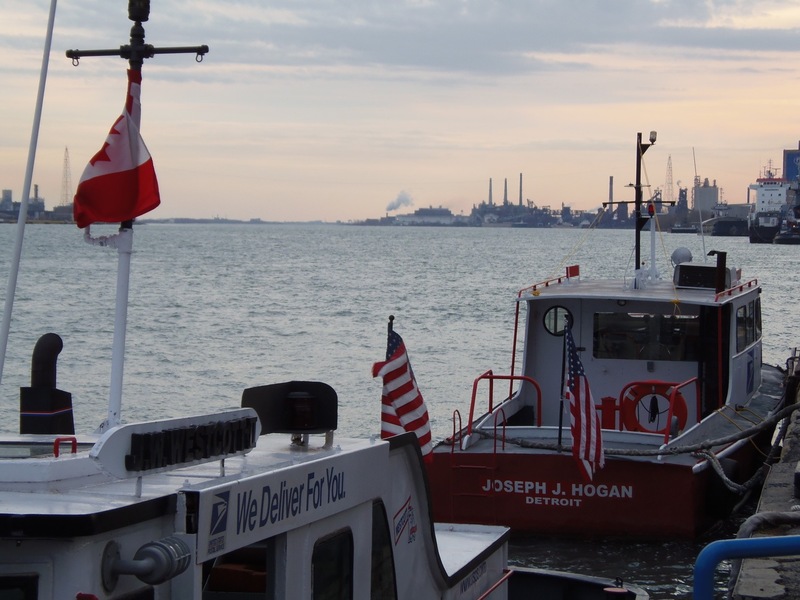 When Moezelborg left the international port of Detroit, she headed north, west, and south for the next international port of Chicago. 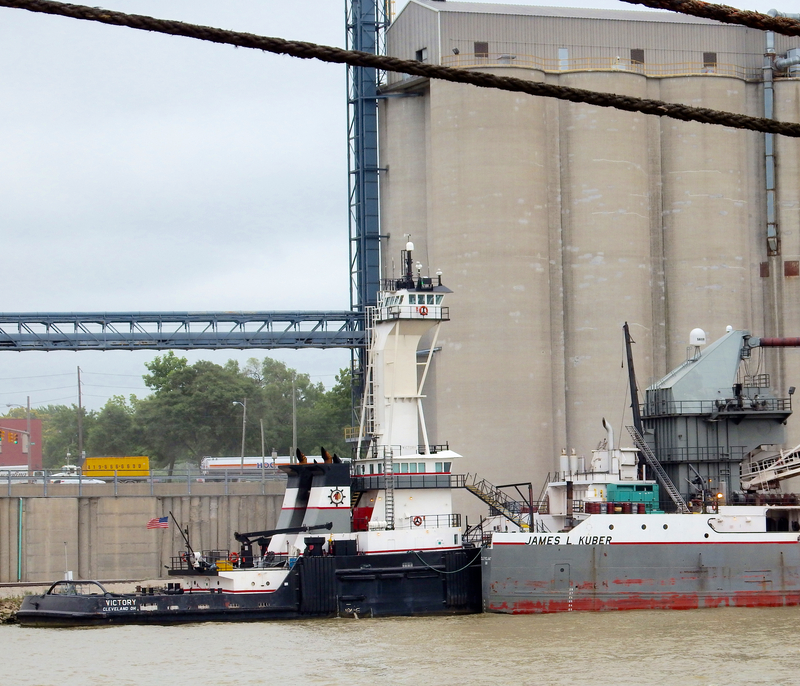 Here’s another shot of the two steamers that served Boblo Island, SS Columbia and SS Ste Claire. I wanted to get better shots but even as I got this–along with my anonymous partner–we were threatened with arrest for trespassing, which I firmly believe we were NOT doing. Here and here are more links for Ste Claire. The second one is a video of a tour of Ste Claire, interesting video but unfortunate audio. 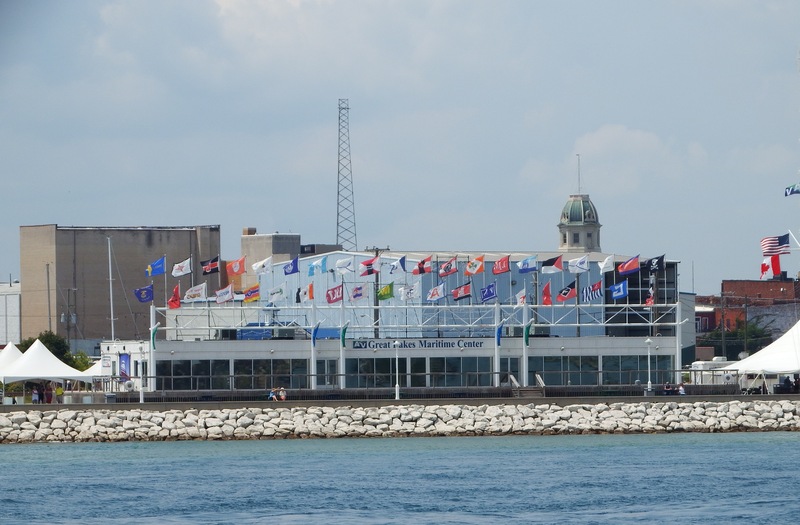 I hope to return to Detroit in August, and at that time, hope to arrange for a boat tour of the waterfront, possibly to get better shots of these vessels. 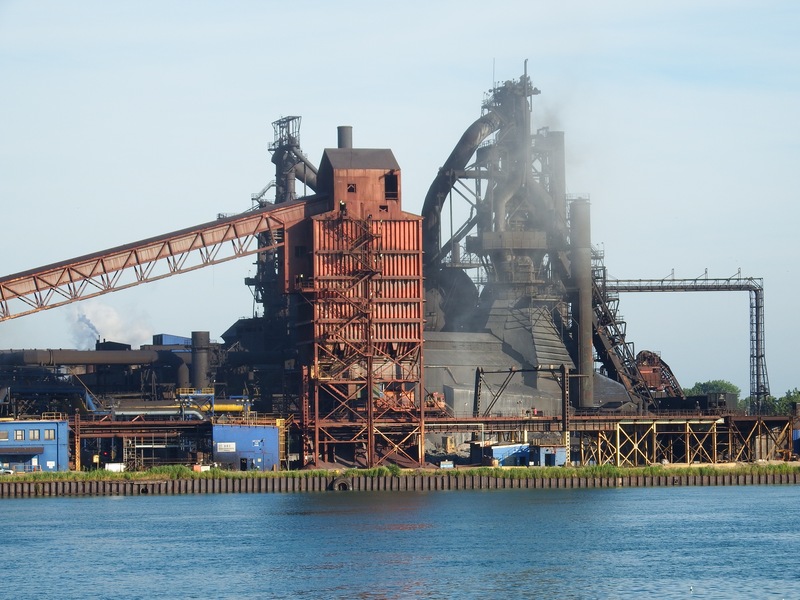 I have returned to the sixth boro, but part of my heart got left behind in Detroit, a place of both rust and new molten steel. Here, fun but otherwise a propos of nothing except a post on the official end-of-hurricane-season, check out “bone in its teeth” blog.